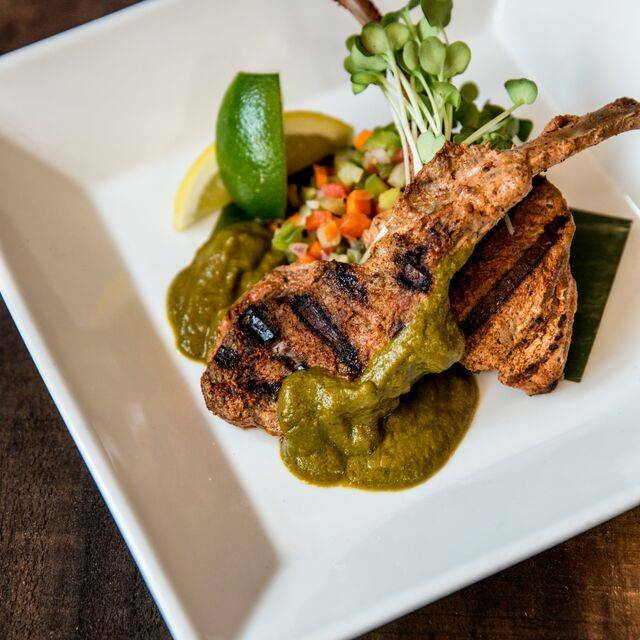 Does the idea of sampling "urban south Indian dining with a California sensibility" appeal to you? If so, then Dosa On Valencia in San Francisco, CA is for you. Noted as a dining institution, Dosa On Valencia offers truly innovative cuisine and cocktails. 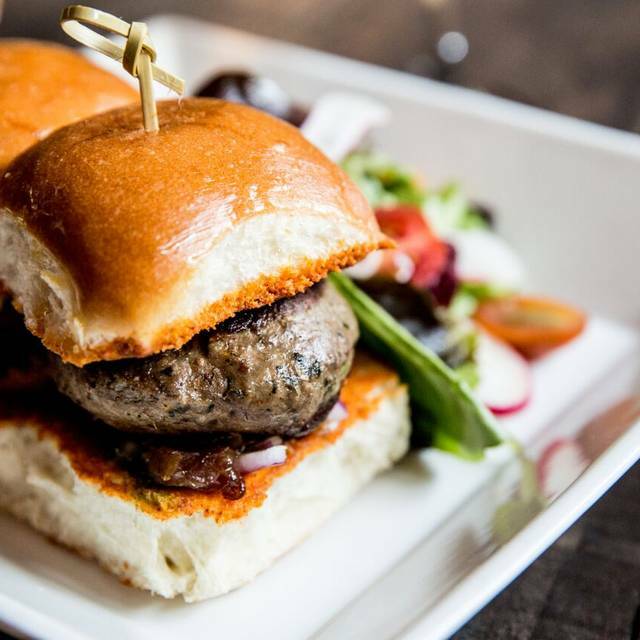 The menus include brunch, daily specials, happy hour and dinner choices. 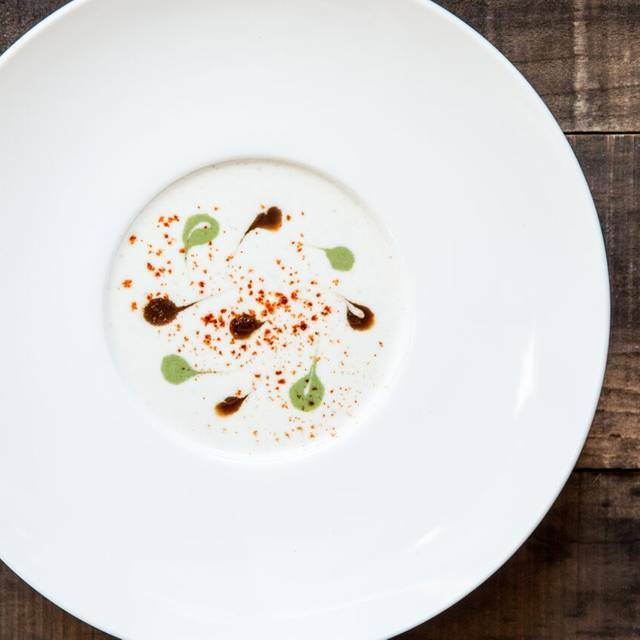 The foods at Dosa On Valencia vary based on the season, and something that many opt to choose is the seasonal tasting menu. Paired with one of the spice-based cocktails, it is sure to make an unforgettable dining experience. 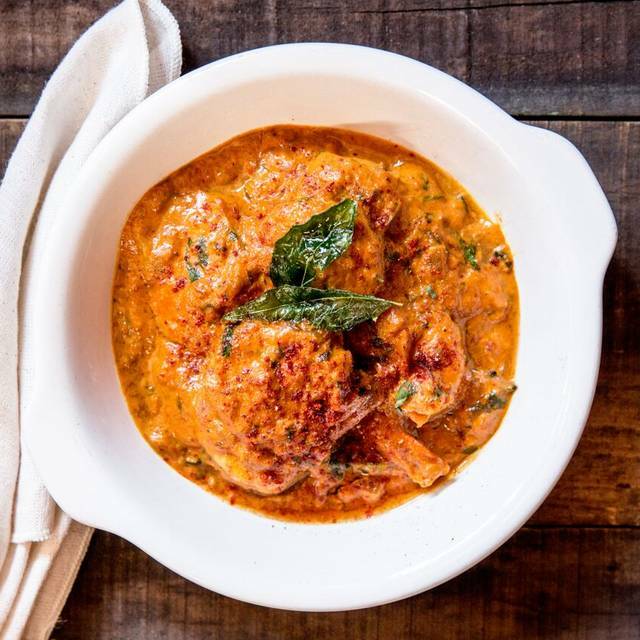 There are also small plates, entr�es, uttapam, dosa and sides to choose from. Please call the restaurant to make a reservation for 9 or more guests. 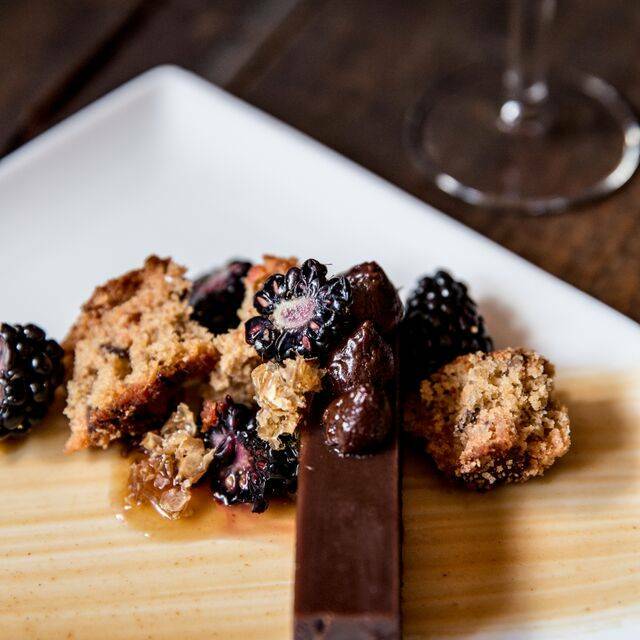 Prix Fixe menu applies to parties of 11 or more. DOSA specializes in catering office lunches, birthdays, fundraisers, corporate events and social celebrations of any kind. Our experienced catering team can creatively address your needs with choices from regular and seasonal menus and with pricing that is appropriate for your budget. 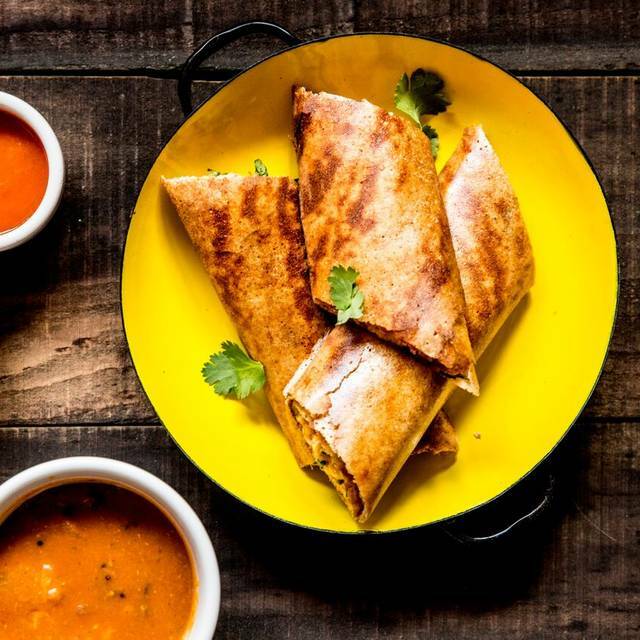 From simple a lá carte platters and boxed lunches all the way to full service catering for weddings and rehearsal dinners, DOSA delivers extraordinary service and value every time. There is an inexpensive and safe parking lot around the corner on 21st Street between Valencia and Mission. It's less than 1/2 a block from the restaurant. BART Stop at 24th & Mission BUSES - Accessible via 26 on Valencia, the 14 (& 14L), 49, 33 running down Mission Street and 67 which turns on 24th Street (3 blocks from the restaurant). I enjoyed my birthday dinner at Dosa with my boyfriend. The experience could not have been better. It was my first time to the restaurant. I ate from the prefix menu. It was able to try a variety of dishes from the menu. I'm a vegetarian and although the restaurant is not vegetarian, there are numerous and delicious vegetarian options. One aspect I really appreciated was the knowledge our server had about each dish and wine paired with it. He informed us why the wine was selected, where it originated and what to expect in terms of taste when pairing it with the cuisine. Since it was my first time to Dosa I appreciated the care our server took in explaining how each dish was prepared. I should note that the restaurant is small and the tables are close together, so it doesn't feel terribly intimate or romantic. But, that wasn't an issue to me. I will certainly be returning to this city gem - I don't think I'd call it a neighborhood gem but rather a city gem. Best service I have received at a restaurant in a long time. The server was extremely friendly and took time to explain dishes and even helped pick out a couple we might like based on our tastes. We ordered 4 dishes for two people) and it was more than enough food. The server staggered the order so that there were essentially two courses! The food was excellent; very flavorful and cooked perfectly. Always enjoy the meal at Dosa on Valencia and on Fillmore. Prefer the atmosphere on Fillmore. Valencia is a bit crowded. The large Dosa was crispy and delicious. We also had a chicken dish and the lamb chops. Both were well prepared and nicely served. Especially enjoyed the coconut rice. The lemon rice was good too. Dosa was good, very accomodating to my reservation change. I would go again, its loud though . Had a good time. Good choice of food items. Great, tasty food. Everyone loved the food here and we had a large group. I think the service kept the right pace for food and drinks. Food is absolutely delicious. Policy doesn't allow you to sit until your full party is there, which was inconvenient for my group last week since one person was running late. A couple of us were starving so ended up finally getting a seat at the bar and ordering there. When the last of our party arrived we didn't feel like transferring everything to our table, so we ended up having the full meal at the bar, which wasn't ideal, although bartender was great. I will be dining here again sooner than later. The food was outstanding and the drinks looked great. We aren't drinking this month so we didn't try anything but some mocktails which were great but I'm excited to try the wine list and the pairings with the dishes. Everything for our 6 month anniversary went exceptional. Thanks! a friend recommended we try DOSA while in San Fran. Love dosas and Indian food. Have to say both my partner and I left very underwhelmed. The pani puri was just ok (the ones at AMBER by the Marriott were amazing). Ordered a spicy dosa and have to say it was just ok. Nothing special. Partner said the same thing about his. Best part was kingfisher beer on tap. Good food, a bit expensive on the price. Portions could be a bit larger as well. The nontraditional menu was light on explanations of these dishes, and despite our conspicuous confusion about what we were ordering, the waiter did little to clarify or explain the details of these dishes, let alone recommend anything. We felt that we ordered duplicatively, which prevented us from tasting as many foods as we wanted to sample. For a restaurant with these prices, I expected more help from the staff than we got. 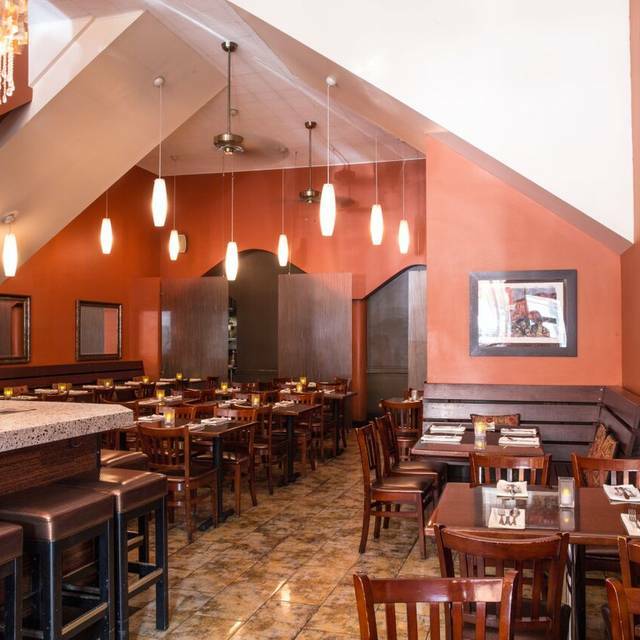 A previous dining experience several years ago at the Fillmore Street location went much better, as I remember, because the server was tremendously friendly and helpful with advice on what to order. I guess this is what happens when a restaurant gets successful, expands, and loses touch with the needs of its customers. Everyone trying Indian needs to get past ordering the standard Butter Chicken and Tikka Masala dishes, and try out South Indian Food. This is the standard for brunch in Southern India and forms the cornerstone of the vegetarian diets that are commonly found in this region of India. The dosa, uttapam and idli-vada combinations with chutneys and sambar are an excellent, tasty and filling way to start the day. 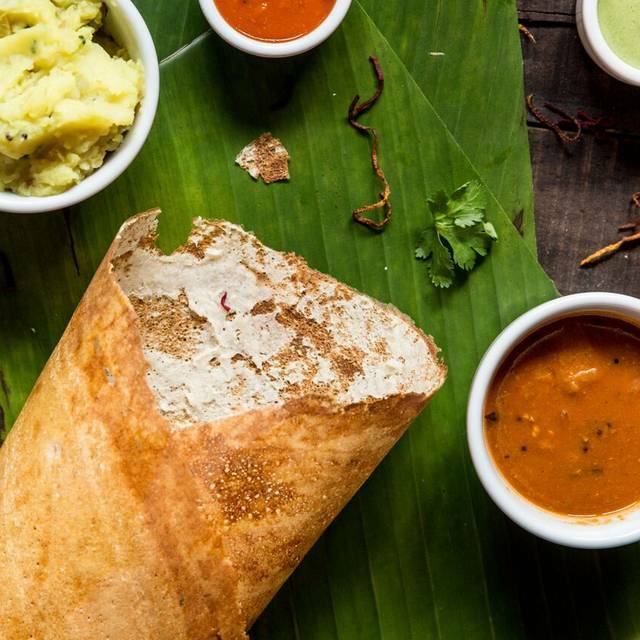 You could go for eggs, yum-cha or branch out and try DOSA. The restaurant has some great selection of food! I tried the 'keema' dosa - a flat, thin, rice crepe with lamb mince, served with chutneys and sambar. The spice balance was great, and DOSA's waiters looked after my friend who had a nut allergy. They were informed and had good information on what ingredients went into the making of the food, letting my friend enjoy the food without concern. I highly recommend checking out this little gem of an Indian restaurant - it has a good cocktail bar and could just be the way to start the weekend, or any night for that matter! Loved eating THE ACTUAL DOSA, although there are a million other items on the menu. Our waitress was really helpful in helping us pick a variety of things even tho' there were only two of us, but the Dosa was uniquely delicious and hard to find outside of southern India...we're lucky to have it right in our neighborhood. The Dosa here is the real highlight - perfectly crispy and the fillings always flavorsome and decently spicy. Also very good value for money. The cocktail list is also very interesting - I recommend the "Mango is the New Black", which is spicy yet tropical - yum. The service does leave something to be desired. We had a reservation at 8.15pm on a Wednesday and they kept us waiting outside on the sidewalk for our table for over 20 minutes and didn't even let us order a drink. Our server was quite grumpy, as if she expected us in advance to tip her badly, and did not explain the menu to us in a friendly manner, which was a bit of a shame. I will be returning as the Dosa is so good, but not for any other reason. I love the food and the service was great! Very attentive staff. Great choices in wine. Their own label wine was awesome pairing with the food. Very unique wine. Though Dosa on Valencia isn't as big as its sister on Fillmore, the atmosphere and buzz are very much the same. Very creative menu and wonderful blend of tastes! I haven't been to Dosa's for a few years, have always enjoyed it .BUT this has become a quasi Indian restaurant geared for the tech crowd. A staff that could care less about you a, more about their self importance! We had reservation for 5:30, arrived on time and were told they weren't ready yet, sit at the bar, Which we didn 't want to do, we were not offered a table, which were all set up. Finally I asked if we could seat at a table. It was downhill from there. The coffee pot de creme was great! But never saw this on a menu in India, where we have both traveled! Went to DOSA on Valencia with my wife and a couple of friends. We were all from out of town. I found the restaurant on Google Maps and took us there because of the stellar rating. I am so glad that we did. The bartender was really cool and made some awesome cocktails. I recommend the "Steph Curry." Had a red curry chicken dish for dinner that was very tasty. I would go back here in a heartbeat. Enjoy! This restaurant is consistently creative and I've never had a disappointing experience here. The service was exceptional and the bartender created custom drinks for us. This is a favorite of mine for visiting family and friends because the experience always illicits a 'Wow'! Had delicious dosa's at Dosa! Service was great. I absolutely cannot have any sugar, and the waitstaff was so nice in checking for me without making it feel like a bother. The food was delicious and the atmosphere great as usual. The only negative is that it was a warm day/night and there is no AC. So it was toasty. Service was terrible. After being seated for an hour, our main courses finally arrived. Except they were not our main courses, they were completely different from what we'd ordered. Went to Dosa for a fun dinner with friends. We got the tasting menu, which was delicious. Fun vibe and good service. My only complaint is that the $12 cocktails were tasty but very, very small. It didn't seem to match the servings of the food, which were the perfect portions- not too much, but not spare either. Either they should lower their price or increase the glass size. Yes, it's been warm in the city but we were uncomfortably hot during our meal. The whole restaurant was uncomfortably hot, we couldn't wait to get out of there. A lovely neighborhood gem! The Dosa was delicious and so was everything else we ordered from the menu. Service was satisfactory and we were lucky to find street parking only a block away on the day of our visit. Very rushed. Had to remind the waiter a few times for the wine that we ordered, which didn't arrive until we were well into our main course. $ definitely doesn't match the service. They had tasty eclectic dosas and apps, a twist to the traditional. I enjoyed the truffle masala dosa. We took my neice and her boyfriend outbto celebrate her graduation and her move to California. We started off with the Kale Pokara. They were light and crispy cooked to perfection. We ordered the vegetarian sliders next. I wanted more! We each ordered Dosa's and a side order of the potatoes with the Habernaro on the side. Unfortunately the checken dish we ordered somehow didnt miake it out with the rest of the order. No biggie they still gave it to us with no charge. Dosa is vibrant great for a crowd! Having dinner with friends who were new to Indian Food! Kevin went out of his way for us. He explained each dish. Everything was wonderful, very tasty....we are lucky to have this dosa! Exceptional service, we are running back soon! We had a great time, and our server was fun and friendly and had great wine insights. I had the mango habanero masala dosa and it was amazing. The paneer and peas was also solid but less exciting. Was at Dosa with another regular from the start. Monday Chat specials are to die for. 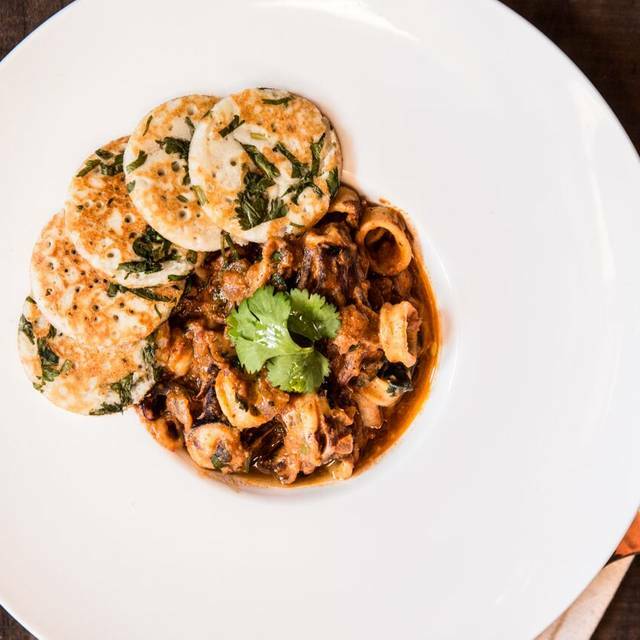 Dosa on Valencia continues to serve the very best Indian food in the city. It's the benchmark. Nice crowd - mix of Indian families and young Mission types. Service was just absolutely right. Please keep spoiling us. Food is decent. Nothing exceptional. Sambhar was good but chutney was not that great. The food was really good. I had the onion rava dosa and I kept eating it long after I was full because it was so delicious. Every time i visit San Francisco i try to dine at Dosa. The food is amazing and the service and ambiance outstanding. Mom for 20 minutes with the table behind us than to give us our bill. I won't be returning to this location again. ONLY IF YOU DON'T USE MY LAST NAME. "TOMMY" IS FINE. We booked reservations for our son's 16th birthday. The bartender was kind enough to offer to place our cake in the refrigerator. Our server was beyond excellent. He was knowledgeable and steered us in the right direction for our culinary choices. We ended up sampling seven different dishes and were pleased with all of them. I was a little taken aback by the fact that my reservation wasn't showing up on the computer, but everything worked out. We got a table. The waitress was very patient and explained the menu to us. I really appreciated that she took the time to explain things so that we could order. The food was excellent. I would come back again. I would bring friends, too. Even though the tables were full on a week day night we didn't feel rushed and the wait staff was respectful. Sometimes you just don't want to jump up and march to BART so that the table can be cleared for another party. Delicious as always. Not as snazzy as the Filmore location, but the food was excellent and Michael was charming. Certainly will return.